Beating the winter chill with a cup of hot tea is one of the best ways to survive the winters. Winters can be harsh, but it’s a blessing for tea lovers, as their usual cuppa starts to feel a lot more comforting and invigorating. It’s difficult to imagine chilly winters without hot beverages and tea is one of the most preferred beverage in India. Tea has a mass appeal and it is consumed across geographies by rich and poor and young and old alike. Tea releases a burst of energy and augments bodily heat, which is exactly what you need during cold winters. For your cuppa to have the desired effect during winters, it has to be flavorful and have a rich, creamy texture. A lot depends on the type of milk, so make sure you use good quality milk such as Niryas Tea Special Milk. You can significantly enhance the flavor, taste and consistency of your garam chai by using Niryas Tea Special Milk. Especially formulated for preparing hot beverages such as tea, coffee and hot chocolate, Niryas Tea Special Milk has healthy fats, high-quality proteins and various minerals and vitamins. These nutrients will promote good health and well-being, making it easier for you to live through the chilling cold. With Niryas Tea Special Milk, you can prepare various tea recipes in addition to your favorite cuppa. It will help kill monotony and allow you to enjoy the winters to the fullest. Here are three flavorful recipes of garam chai that will be a true delight during the winter season. 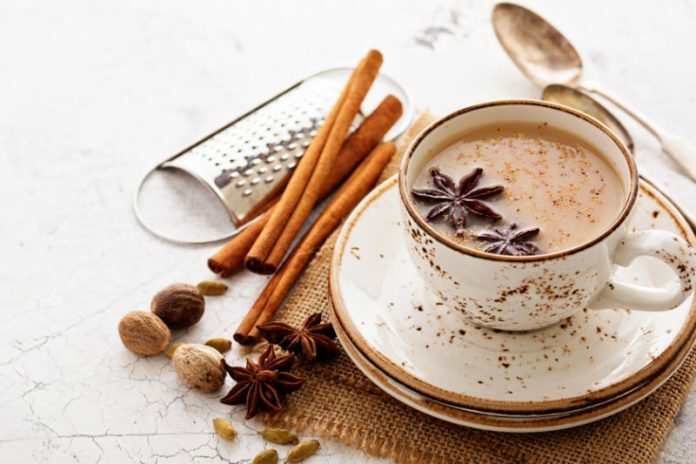 Masala tea: This is prepared using various spices such as nutmeg, cardamom, cloves, dry ginger, and fennel seeds. You can also add other spices such as black pepper, lemongrass, rose petals and holy basil. You can make this at home or buy readymade masala tea powder from your local grocery store. The tea preparation process is the same as that of standard tea. For two cups of tea, you need to add 1/4 teaspoon of masala. If you like a stronger taste, add 1/2 teaspoon in two cups of tea. Cinnamon tea: You can use ground cinnamon or cinnamon sticks to prepare this. The process is the same as that of standard tea. You just have to add cinnamon along with the tea leaves when preparing tea. Ginger tea: Use freshly crushed ginger along with tea leaves to prepare ginger tea. This is very useful during winters, as ginger is known to help fight cold and flu. With these flavorful tea recipes, winters will no longer be a dull and drab affair. For rich, great tasting tea and optimal health gains, use Niryas Tea Special Milk. For all the health conscious people, having oil, ghee or butter is a big no-no. According to the modern day concept of healthy living, ghee will add some extra kilos around your waist. But let’s have some reality check on the concepts of ancient Ayurvedic medical science which states: ghee or clarified butter is not only good for health, it has a great impact on rejuvenating the mind and spirit. Here are 5 amazing health benefits of pure ghee to clarify your idea. Ghee is good for people with Lactose Intolerance: During the making ghee from butter, most of the impurities, as well as the milk solids, are removed. The remnants of solid milk can barely affect anybody. So, the people with lactose or casein intolerance can have ample of it! Ghee is nutritious: Ghee is packed with nutritious Vitamin A, D and E which are oil soluble and have anti-oxidant properties like K2 and Conjugated Linoleic Acid (CLA). It also has medium chain fatty acids which are directly absorbed into the liver and burned as energy along with other fats. Only one tablespoon of ghee can give you a whopping 470 KK of energy! Ghee enhances digestive system: According to the latest study, the people with a weak digestive system cannot produce Butyric acid, which helps in digesting food. On the other hand, ghee is full of Butyric acid which is a source of energy and helps the intestinal walls digest food. Ghee boosts immunity: Recently a research has proved that Butyric acid can support the production of T cells. These cells boost the immune system of the body, which fights against the allergens, bacteria and foreign particles. So, ghee is a great aid to build a strong immune system which keeps many common health problems at bay. Ghee has medicinal benefits: Another added benefit of ghee is its medicinal value which has been well depicted in ancient Ayurveda. Ghee is used as a natural remedy for treating cough and cold since ages. And systematic in-take of ghee can keep a person away from these health remedies. Taking one teaspoon of warm Niryas ghee has a magic on a dry cough. Many Ayurvedic home remedies have ghee as their core ingredient. But it is essential that you choose only the purest form of ghee. Niryas ghee is the purest ghee available in the market today. So, place your order today! Sweet Lassi or Salty Chhach: What’s your choice? It is summer time and this Indian season has its own special savory drink – Lassi. Made with thick and high quality Yogurt, it refreshes your body in a way that none of the aerated drinks can! No wonder than that whether you are in the Northern or the Eastern states of India, you will find Lassi shops always crowded with people. On a broader level there are two types of Lassi – Sweet and Salty. And both of them are very popular across India. While both these drinks have their own distinctive tastes and benefits, none can claim superiority over the other. Today we would try to analyze the highlights of lassi and chhach. If you have a sweet tooth then this is the drink to opt for during those days of searing summer heat. Sweet lassi contains the same health benefit as Yogurt. Prepared with a couple of spoons of sugar, the lassi can be thick and heavy. Modern day sweet lassis come in various flavors. Their tastes are enriched with rose water, lemon juice, strawberry, mango or other fruit juices. A glass of sweet lassi is often a heavy drink which keeps you filled for many following hours. It is also known to cool down the body, and thus it is a healthy drink to have if you are venturing out on a summer day. On the other hand, if you have a liking for the tangy or salty taste then a glass of Jeera Chhach would be an ideal accompaniment with your meals. It is a less heavy drink, than the sweet lassi, but carries more health benefits. One of the most prominent health benefits of chhach is its capability to aid the digestive process. It is traditionally had with meals and mostly Indians love to end their fulsome lunch or dinner with a bottoms-up drink of chhach. So, as we see above the sweeter variety of lassi is a standalone drink that can instantly cool down and keep your body well hydrated. It is rather thick and heavy.  On the other end, Chhach is more of an accompaniment with heavy meals. It is well known for aiding the digestive process and helps you stay away from problems of the digestive tract. An essential ritual during the Navratri celebrations is fasting. So, most families around India fast for all these nine days. The intention of fasting is to deny your body of the essential pleasures. So, the devotees have to deny themselves from all types of food cravings! Breaking away from the normal food pattern makes the devotees suffer (out of hunger). But, fasting is not all that bad. Our ancient medical texts aka Ayurveda is full of praise for the act of fasting. Ayurveda sees fasting as an essential way of cleansing the body of accumulated toxins and flaring up the digestive fire. The texts also claims that fasting (on intermittent intervals) eliminates gas, gives mental clarity, lightens up the body, refreshes the breath and cleanses the tongue. Food cravings are evils that haunt our body all year round. They lure us to having more food than needed by the body, and this leads to various health ailments. So, the Navratri is a good occasion to ward off this evil for nine long days. And, after an excruciating day of fasting, there is, of course, much to look forward to. Most families reserve this time of the year to cook some mouthwatering local delicacies at home. So, keeping in tune with the mood of celebrations, we present before you four great healthy fast-breaking food ideas. After a day-long struggle with your food urges, this is the time to indulge in something sweet. The low-fat Makhana Kheer brings the best of both worlds. This dessert which is made with makhana and nuts, helps you satiate your sweet tooth. Use Niryas’s double toned milk to make the recipe and enjoy the kheer without any worries of weight gain. Great way to nourish your body, after its deprivation from all those long hours of fasting is to make a glass of this delicious lassi. 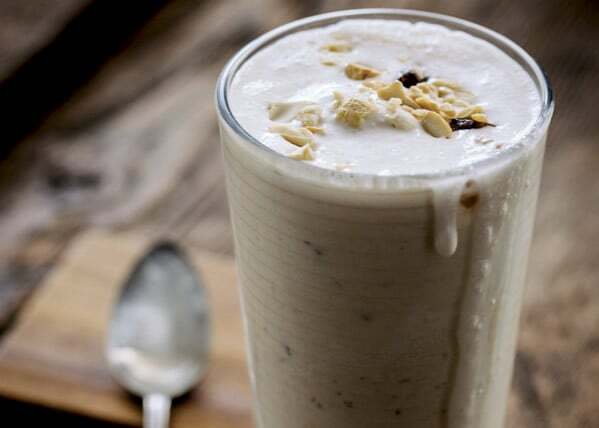 Use Niryas Diet Dahi along with honey, bananas and walnuts to make a delicious and pure glass of lassi. The delicious taste and aroma of this dish, would make all the wait for food worth it! Make this dish using curry leaves, potato and Niryas Fresh Dahi for best flavours. These conventional tea time snacks, become a great fast-breaking treat during the Navratri. Made with Arabi and Kuttu ka Ata, these deep fried items taste delicious with Mint Yogurt dips. Make sure you prepare the dip with Niryas Diet Dahi for the richest taste! Enjoy the divine experience of Navratri with Niryas!